Improve productivity, insight and sales with tools that enable managers and field teams to do more, know more and sell more. Power, simplicity and expertise built into a system that is easy to use, easy to deploy and highly flexible. A full range of training, implementation and support services to deliver your project on time and on budget. 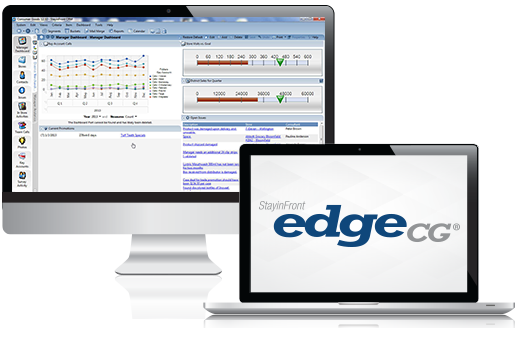 EdgeCG is a powerful engine that enables managers to direct retail field efforts, drive productivity and track field activities. 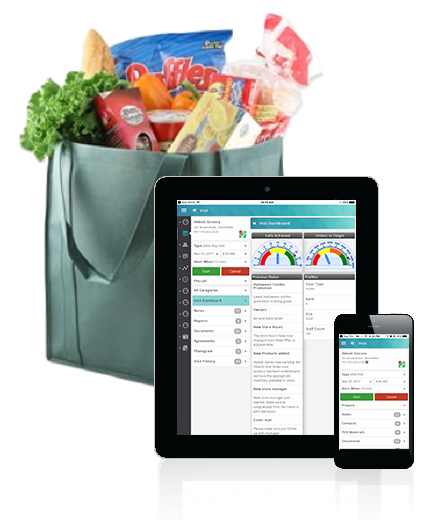 Integrated analytics and reporting tools enable managers to meet all their retail execution, direct store delivery and reporting needs with a single system. 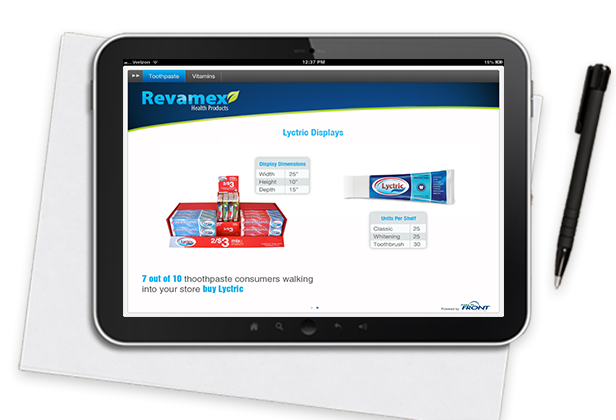 StayinFront TouchCG® is a mobile application for the field with full functionality for merchandising, route accounting, order entry and in-store selling. StayinFront Analytics lets companies analyze data from within the system and from external data sources such as sales, marketing and financial information. 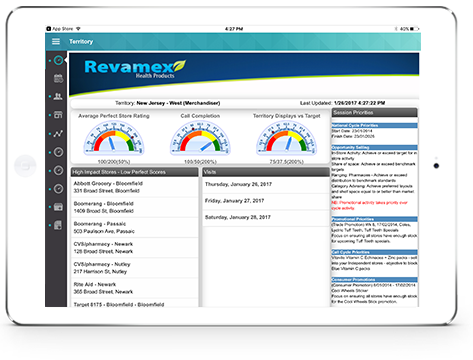 Dynamically explore previously inaccessible data and respond to inquiries with accurate, timely answers. Set new actions in motion and monitor results. Keep everyone in the organization aligned with business goals with KPIs. 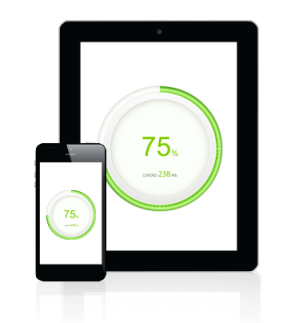 Evaluate performance and progress with configurable and user-friendly dashboards. Exceptions identified in StayinFront Analytics can be used to start workflows. Define your own KPIs, track them over time and action trends and results. StayinFront Insight® is a powerful, cloud delivered, all-in-one retail execution data warehouse and business intelligence solution that brings together all the critical data sources for your teams to be able to understand what is happening in your retail channels. StayinFront PitchBook lets field reps deliver fact-based, one-of-a-kind pitches that generate more opportunities and sales. No more bulky binders, static sell sheets or missed opportunities. Field reps have everything at their fingertips to engage store managers with meaningful, valuable information. 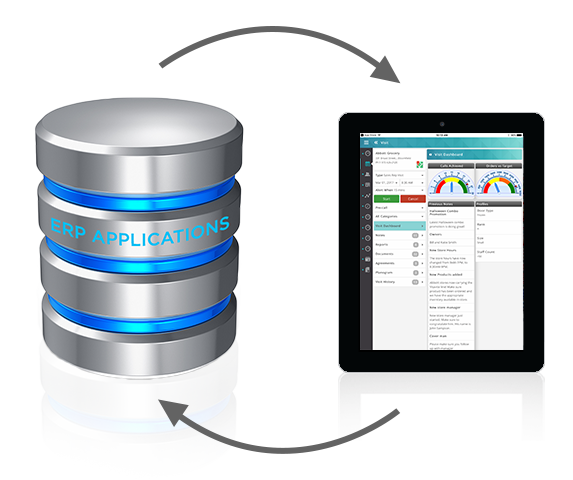 Our enterprise mobile platform is engineered for easy, cost-effective integration with SAP, Oracle or virtually any other ERP application or data source. Strategic partnerships with leading consumer goods technology integration and consulting firms provide additional expertise in consumer goods processes and local market experience. You never have to worry about your software becoming obsolete. StayinFront delivers enhancements to the systems several times a year – at no additional cost. Choose the training method that works best for your end users and systems administrators. 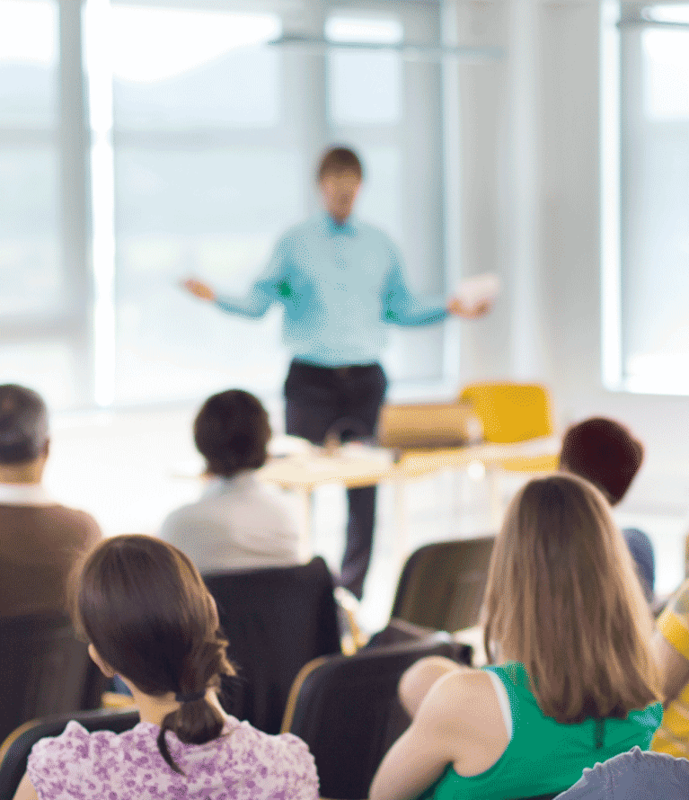 Classroom training – on site or at your facility – provides access to instructors and subject matter experts for your entire team – from system admins to field users. 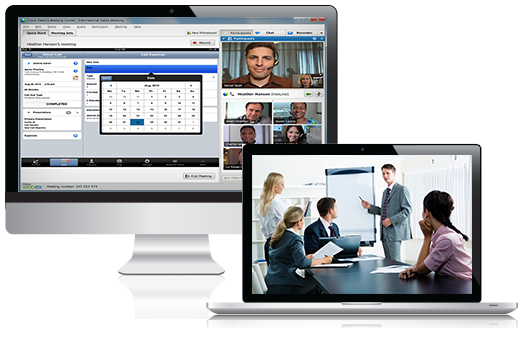 Web-based training for add-on or refresher training can take place through Instructor-Led WebEx® or Self-Paced Training. Access a personalized web portal designed to suit specific team training needs. To ensure your systems runs optimally once deployed, StayinFront offers a full range of professional services - from implementation to ongoing support. 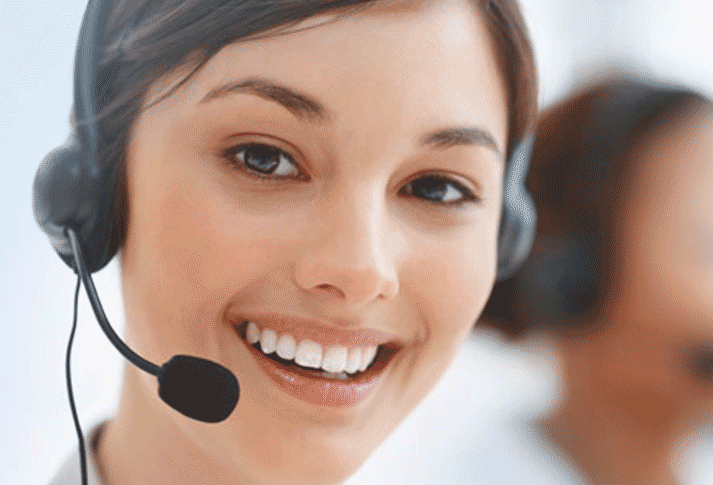 Our customer support is backed by industry expertise and adherence to the highest standards of quality. 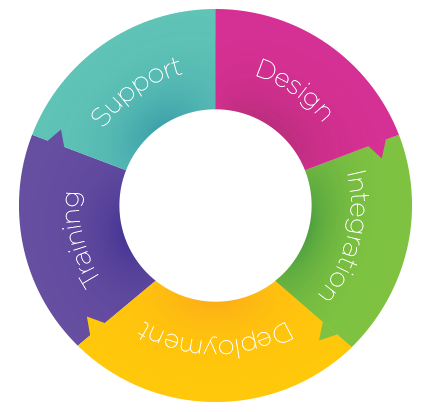 Strong ongoing client support is essential to the success of your implementation. You can expect a quick response from StayinFront’s project managers, management and home office staff for initial and ongoing project management.